More Saigon boutiques: For those who have more time, and a few spare Dong! 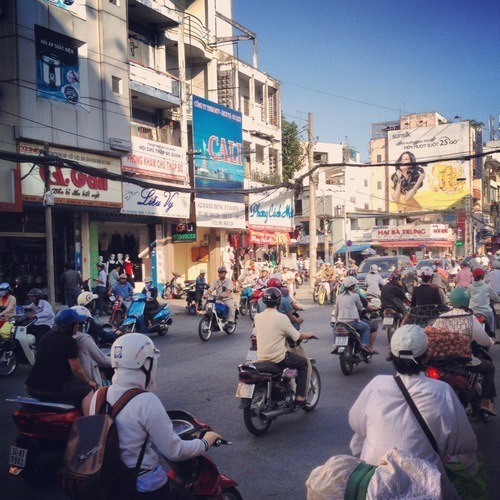 Navigating your way around Saigon, Vietnam! If you are following us on Instagram or Twitter (@travelshopa) you’d already know that we have just spent the last week in Vietnam, checking out the local shops, local brands. Spending most of our time in Saigon (aka Ho Chi Minh City), we have been pleasantly surprised with the array of fashion, gifts and homewares available. It always surprises us how shopping layouts can differ so much from city to city. The shopping in HCMC (as the locals call it) is mostly spread across District 1, 2 and 3 and is found in both shopping centres and on shopping strips. We will delve into each of the shopping areas, but as an overview we suggest navigating yourself around HCMC by major shopping street. It may seem challenging at first, but once you have your tongue around Trong, Trung, Thruong, Thang and Thanh, you will be all over it like a local! Within each street you will find low, medium and high-end priced local brands. To put it simply, there is no order to the shopping in this town, so don your best walking shoes, grab a map and follow our guide to ‘local shopping’ in HCMC. Dong Khoi – Start at the Saigon River and walk back towards Notre Dame Cathedral. There are hundreds of fashion, gifts and homewares shops all the way along, on both sides of the street. This is also souvenir central station! Le Thanh Ton – You will find great fashion boutiques spread out from Ton Duc Thang until Truong Dinh. Ly Tu Trong – Much like Le Thanh Ton, you will find many more fashion boutiques spread out from Ton Duc Thang until Truong Dinh. Hai Ba Trung – The shopping is jam packed from Nguyen Thi Minh Khai up well into District 3. You’ll find local fashion designers to fast street fashion along this very very long and busy strip. Pasteur – There is a great little strip of local fashion labels between Le Thanh Ton and Ly Tu Trong. 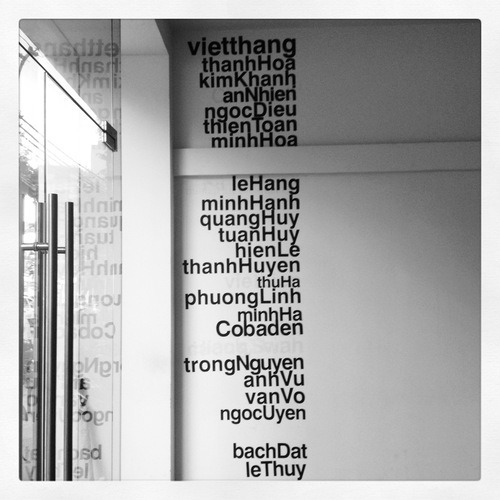 Le Loi – There is a small eclectic stretch of local shops from Nguyen Trung Truc until Ben Thanh Market. Again, you will find a number of souvenir shops on this strip! Le Lai – A couple of boutiques down near Nguyen Van Trang are worth the US$1 cab ride, or a bit of a walk if you still have the energy. Mac Thi Buoi and Nguyen Thiep – These two streets are worth ducking onto as you work your way down Dong Khoi. There are a few larger shopping centres along the major shopping streets, mainly full of international brands stocking all that can be found in the same stores right across the globe. So for something unique, eye catching and reminiscent of your time on Ho Chi Minh, we suggest you stick to the local shops, local brands! Oh and our tip for crossing the road… Find a crossing, when the traffic is slower (the coast will never be clear) than usual, step off the curb and walk at a steady pace. Nobody will hit you, as long as you keep walking at the same steady pace. Perhaps close your eyes if you are afraid! Until next time, happy shopping wherever you ma be!